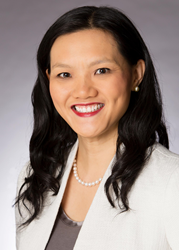 Wilmington Trust announced that it has appointed Alvina Lo as Chief Wealth Strategist. In this role, Lo will oversee the wealth planning, strategic advice and thought leadership services for Wilmington Trust’s fast-growing Wealth Advisory division. She will be responsible for managing a national team of strategists, financial planners and thought leaders who advise high-net-worth individuals and families, business owners and entrepreneurs, and foundations and endowments.